Ever since I started the Keto diet, there’s one thing that keeps me completely satiated and it has shocked me. It’s Keto Coffee, and it’s absolutely magical. Before Keto, I was not a coffee drinker. Not for any particular reason, but caffeine didn’t seem to affect me. I’m not the type of person who needs coffee to function, or even drinks it everyday. Interestingly, when I first began, I never hit my fat macro. Ever. Some people say it’s not important, that it’s the filler to keep you from gorging” but it felt important to me to balance out this diet the proper way. I found Keto Coffee, and realized it would be a great way to up my macros, and also get some supplements into a simple drink. 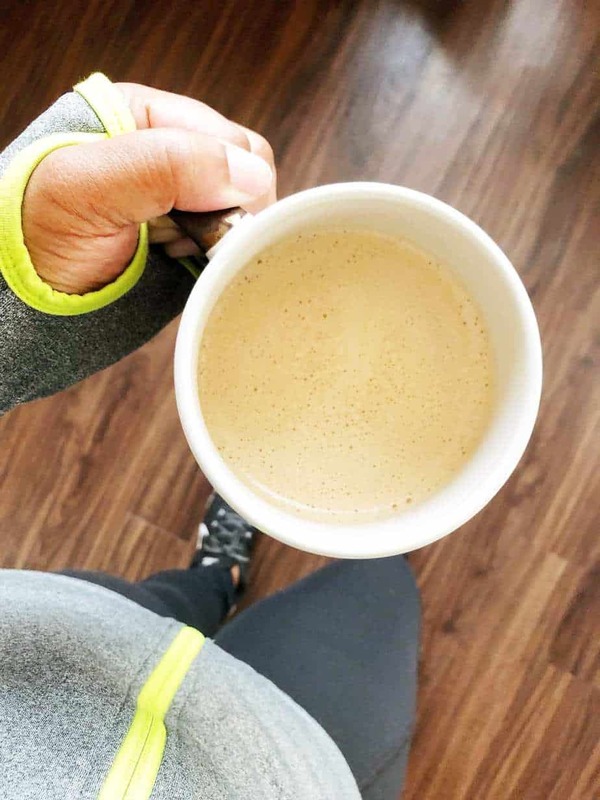 Now, you’re going to think EVERYTHING I’m about to say is crazy, but in my experience, Keto Coffee has been a lifesaver. The first day I drank it, I had to force myself to eat because I was so full all day from the coffee, that I really didn’t have any serious hunger. Keto Coffee also made me feel like my coffee was super smooth. 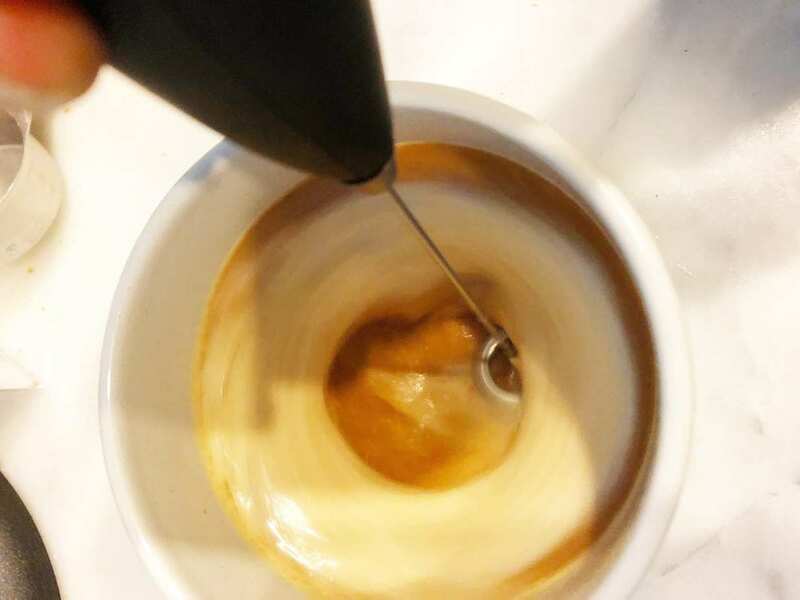 No bitter taste, and I loved it – the MCT oil and butter help cut the strong taste, and using a milk frother to blend it is one of my favorite hacks to make sure your coffee isn’t a big oil slick. It really helps to meld everything together. This is a great opportunity to add my morning fiber, and collagen peptides to this drink. I find this to be a great way to get my supplements in during the day. Use instant coffee to make things faster. Boil some water in an electric kettle, and everything is done in under a minute. Finally – I love Torani’s sugar free syrups. They’re amazing. They’re VERY dirty keto though. They have sucralose in them as the sweetener. So far, Sucralose hasn’t done anything to kick me out of ketosis, or cause stalls/gains, but use it at your own risk. 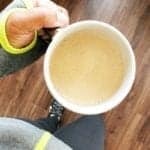 There are definitely other ways to sweeten up your keto coffee if you really feel like you need it. Check out my recipe below for the coffee, and leave a comment letting me know your hacks and tricks for your morning brew! A drink that will help you take your supplements and meet your fat macros. 1 pack Starbucks Pike Place VIA Instant Coffee (or any instant coffee of your choice - this one is my personal favorite). 1 pump sugar-free Torani salted caramel syrup. Add your butter, mct oil, fiber, instant coffee and sugar free syrup to your coffee cup. Pour hot water over the ingredients (to help melt the butter). Use your milk frother to incorporate the mixture until you get a foam on top. Drink it hot, or pour it over ice to make an iced coffee drink. This post contains affiliate links, which means that your purchase can help Hangry Woman sustain itself and keep providing useful content. Thank you for your support!